Life Safety Products: Are You Ready for a Home Emergency? Many homeowners get a security system to protect their home and family when they are not home. They only arm their security systems either when they are at work, with the kids at school, or gone on vacation a few weeks a year. Since you are already paying for monthly monitoring service, it is very beneficial to understand the life safety features of your alarm system. The above photo is from a life saver award event about the Saifee family being saved from carbon monoxide poisoning. Plan and prepare for the actions you will take if you have an emergency in your home! There are three emergency buttons on most security keypads used for police, medical and fire emergencies. You can add other life safety equipment including monitored smoke/heat detectors, flood sensors, medical pendants and carbon monoxide detectors. It is also important to create a family evacuation plan in case of life threatening emergencies in your home. The home alarm portion of your security system only protects you when it is armed and an intruder breaks in and is detected by one of your security devices. This sounds the alarm and sends an emergency signal to the central station operator. But… What if you see a burglar staring at you through the kitchen window? Suddenly, he runs to run back patio door and begins to try to force himself in. What should you do? If you call 911 you may be asked multiple questions, be put on hold or worse get a busy signal. Call 911 from a mobile device and you often get the highway patrol. If you are a trained killer… then run to get your weapon. These two options are not always the best. With a security system… Press your police emergency button on your keypad. The alarm will sound hopefully scaring the intruder away and your alarm system will signal the central station that you are in a police panic situation. 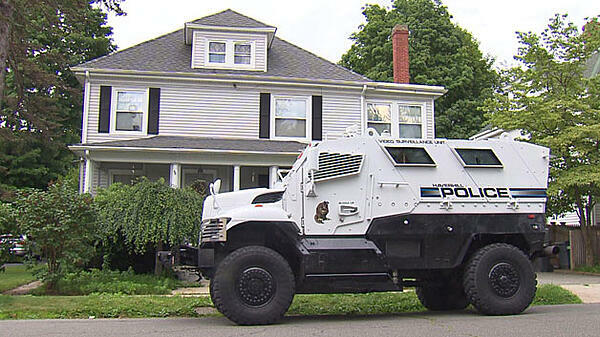 Police will be dispatched at code five level with guns drawn upon arrival to your home. With two-way voice monitoring the central station operator will be able to communicate to you through the “intercom” portion of your security system and will be there for you until the police arrive. Your emergency contacts will also be called to assist in the emergency. You also have a police emergency button on your key-chain remote. When pressed, it sends a signal to your alarm panel, sounds the alarm and connects to the central station operator. 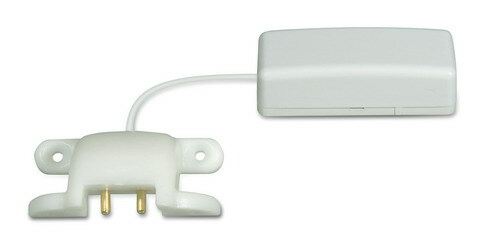 The key-chain remote works throughout most homes and right outside, not down the street. Use it from your driveway if someone comes up to you when you are getting out of your car or in your bedroom at night. Get one for every family member for extra protection in police emergencies. Fires are devastating and cause 10 times the property damage in comparison to the typical loss from an average burglary. Unfortunately, many house fire cause death of loved ones and precious pets. It’s the smoke inhalation that gets most. Fires also destroy many items that are irreplaceable and have sentimental value to the family. If detected quickly, a fire can be put out before huge damage is done or lives are lost. Many fires start as smoldering smoke before the flames break out and with a photoelectric smoke detector can be detected right away. 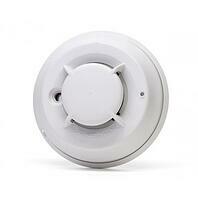 Most monitored smoke detectors that come with security systems are photoelectric. With monitoring service, the alarm panel will send a signal to the central station and the emergency operator will call your emergency contacts and dispatch the local fire department. The average time from when a fire starts to when the fire department arrives on scene is between 25-30 minutes… but from when they are called, arrival is just 5-7 minutes in most cities. So whether you are at work or you wake up in the middle of the night to a fire and are trying to get your family and pets out… with monitored fire protection, help is on the way! If a small fire breaks out in your kitchen, run to the keypad hit the fire emergency button. This will notify everyone in the house to get out, immediately send an emergency signal to the central station and the operator will automatically call the fire department. Remember, fire doubles in size every 18 seconds… So concentrate on one thing! Get everyone out of the house to safety. Do you have a family fire evacuation plan? Make a fire safety plan of how each family member should escape in case of a fire and create a meeting place across the street or far away from the danger. Practice the fire drill, especially with small children. With a security system, call the central station and ask them to put your system in test mode for a few hours. Then press the fire emergency panic button to sound the siren and have everyone time their escape from the “fire” and join together at the meeting place. Small children often just head for the parents room anytime there is danger or hide in areas like the closet or under a bed. Kids need to be taught what to do in an emergency. Another benefit of monitored fire protection is savings on your annual homeowners insurance. Most insurance companies do offer a discount for monitored fire protection. Some companies will require the security company you hire to send them a Certificate of Installation that fire monitoring is included in your plan. There are more medical emergencies every year in the United States than the number of residential burglaries and fires combined. It is vitally important for family members to act quickly in medical emergencies. Most security keypads have a medical emergency button and in some cases, for people with medical conditions, you can program a one button medical pendant to send medical emergency signals to the central station. When the central station operator receives a medical emergency signal, they will dispatch the ambulance to your home and call your emergency contacts. With two-way voice monitoring the operator will be able to speak with you through the security system “intercom” and stay with you until the medical help arrives. For customers with ongoing medical concerns, there are specific health monitoring systems that are independent from a security system. Some services help customers remember to take medication. Other monitored health systems can receive information from medical devices like blood sugar testers to monitor health concerns. Some people also want to get GPS health monitoring in case a medical emergency happens when you are away from home. Emergency help can be sent to the exact GPS location in case of an emergency. Monitored health systems report medical emergencies to a central station trained to handle these specific cases. Operators will call the emergency contacts and dispatch medical assistance in all emergency situations. These systems help adult children monitor the health of their elderly parents and give people with medical concerns the freedom to live at home. Often labeled as the number one killer of all poisons in America, getting protection from carbon monoxide is important for all families. By getting a monitored carbon monoxide detector installed, you will be notified by the central station if you have high levels of the poison in your home whether you are there or away. The Emergency Operator will dispatch the fire department for you as well. 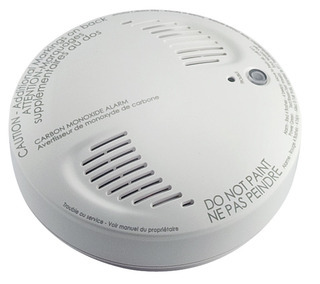 Depending upon how high the level of carbon monoxide poison is, having it monitored by your alarm company could save the lives of family members and pets. Check out this true story from the picture above. Here in California, we do not have many deadly floods and are normally praying for more rain. In our state, these life safety products are installed mainly in indoor laundry rooms and some basements where homeowners are concerned about water damage. If you or someone you know has ever experienced the damage a broken hose in a laundry room can cause, you would want to install a flood sensor. I have met homeowners who experienced a severe water leak in an upstairs laundry room while they were on vacation and came back to a completely destroyed house. Since you are already paying for your home to be monitored, it may be worth the small investment to protect your home from potential water damage. With monitored flood protection you will be notified immediately of the emergency. With most security companies, life safety products do not raise the cost of your monthly monitoring service. So to experience the peace of mind and extra protection they provide your family, you are just looking at a one time cost of the added life safety equipment. For most homeowners who understand the value of life safety the small investment is far worth it! "what solution they would recommend that would cover fire, intrusion and video monitoring"
Get the protection your family needs. Call today 1-800-310-9490.